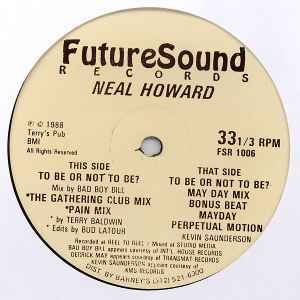 Neal Howard ‎– To Be Or Not To Be? A1 To Be Or Not To Be? Un minimum de 10 mots doivent être entrés. Veuillez entrer au moins 7 de plus. The Gathering is piano heaven.. A must have piece of techno history.